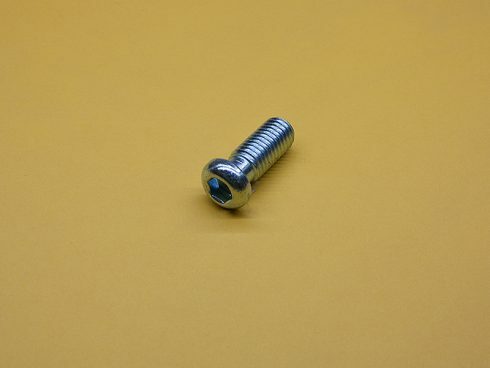 TNUTZ – M12 x 30mm Connector Screw for 45 Series, Part # CS-045-M12-H. 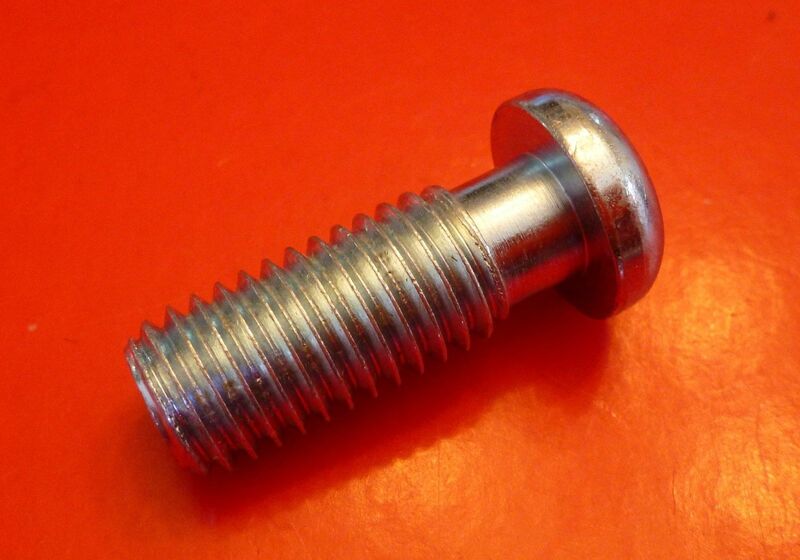 These Connector Screws are a VERY economical way to attach together our 45mm Series or 10mm slot extrusions. 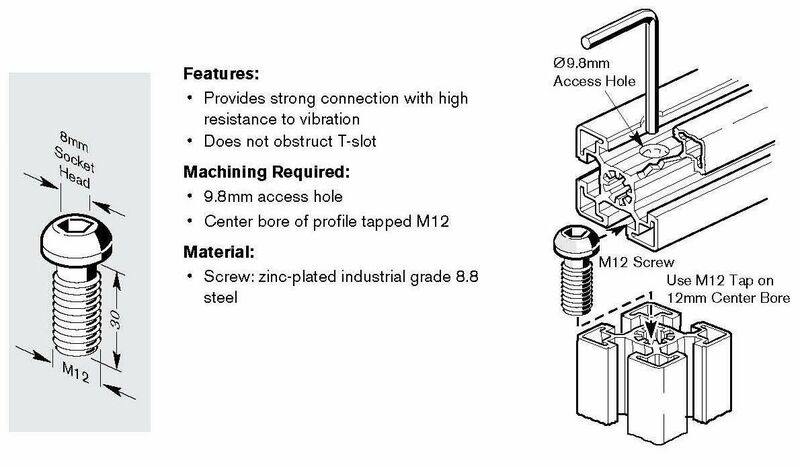 These Connectors have Allen Heads and mating extrusion must be tapped M12 prior to assembly. 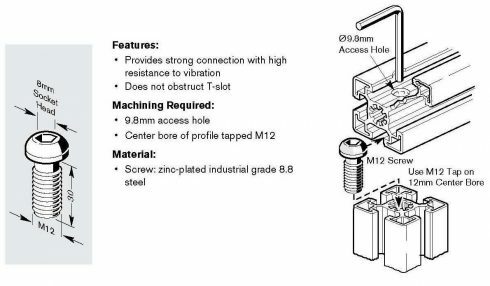 They are great and invisible method to make a secure 90° connection. These parts are BRAND NEW, and are deeply discounted from the list price.